• The Art Exhibition will be held at the Woodstock Public Library in Woodstock, Georgia, from April 16 – 26, 2019. • Note: if the student lives in the district, they are welcome to participate. The school may be in or out of the district, but the student needs to reside in the 11th Congressional District to be eligible. 2019 Congressional Art Competition Student Information & Release Form ***Please Note: YOU MUST FILL THIS FORM OUT ONLINE. Handwritten forms will NOT be accepted. 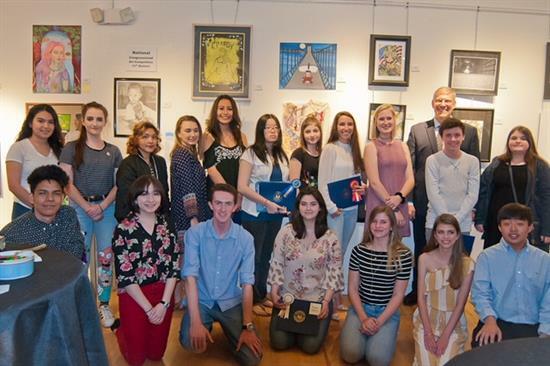 If you would like more information on the annual Congressional District Art Competition - including this year's deadlines - please feel free to contact our Office Manager, Phyllis Nall. She can be reached by email at phyllis.nall@mail.house.gov or by phone at (770) 429-1776.